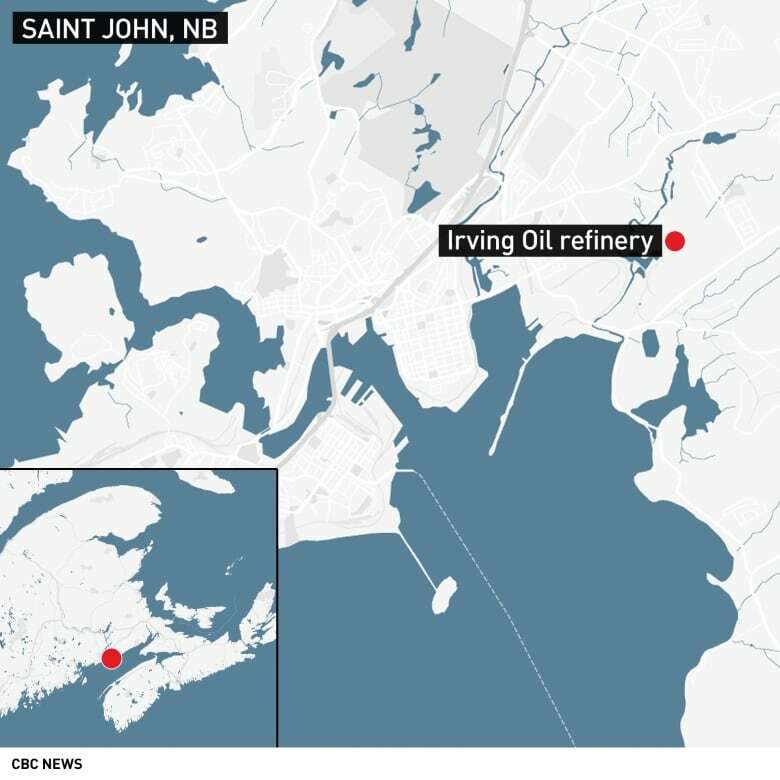 Irving Oil will work with a number of agencies to determine what caused an explosion and fire at its refinery in Saint John Monday, says a company official. Irving Oil will work with a number of agencies to determine what caused an explosion and fire at its refinery in Saint John Monday, a company official says. 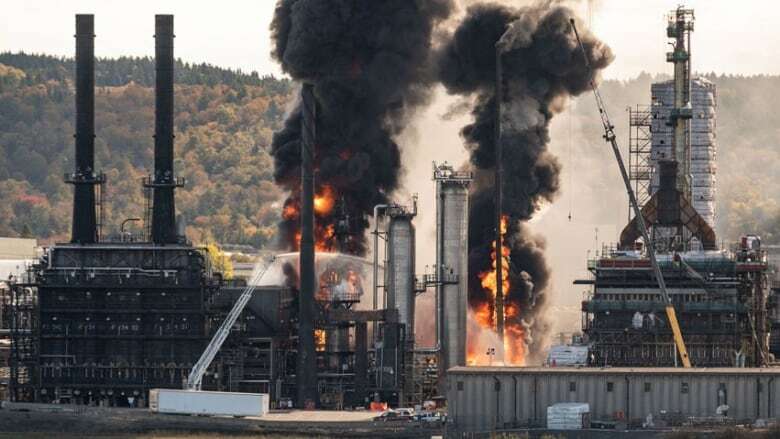 WorkSafeNB, the Department of Environment and Emergency Measures Organization (EMO) officials will try to "understand what happened" and decide on next steps, said Irving Oil's chief refining and supply officer Kevin Scott. "Very unfortunate event, but also fortunately a very rare event for us as a company and we will continue to focus on understanding what went wrong and we apply those lessons every single day that we go to work to try to maximize the safety of our operations and ultimately our employees and communities," Scott said. The explosion and fire shook the city and sent at least four contractors to hospital with non-life threatening injuries. By late evening, the situation had been stabilized, EMO officials said. But flare-ups are still possible, as part of the normal stabilization process, the organization posted on Twitter shortly after 7 p.m. AT. "Crews are on site and monitoring," it said. Area residents are no longer being urged to remain in their homes. 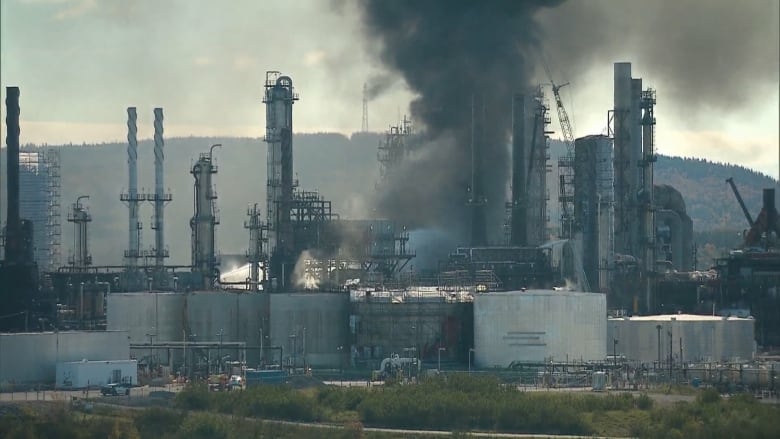 The New Brunswick Department of Environment and Department of Health are monitoring air quality around the east-side refinery and "have not identified any concerns to public health," said EMO. The Saint John Fire Department has begun releasing some of its crews and equipment from the site and all streets have reopened to traffic. A malfunction in a diesel-treating unit is believed to be the source of the "bed-shaking" blast that sent flames shooting an estimated 30 metres high and saw a plume of black smoke cover most of the city's east side shortly after 10 a.m. The unit, which removes sulphur from diesel, has been isolated and the rest of the refinery has been shut down "out of an abundance of caution," said Scott. The Irving Oil facility is the largest refinery in Canada. It employs about 1,400 people and is capable of producing more than 320,000 barrels per day at the sprawling site, which covers more than 300 hectares. Although it's Thanksgiving Monday, close to 3,000 people were working onsite due to a regularly scheduled maintenance project. About 100 were the normal operations crew, while the rest were tradespeople working on the turnaround project, officials said. "The fact no one was hurt seriously or killed during this incident is something to be very thankful for," said Saint John Mayor Don Darling. Jonathan Wright, an electronic technician from Florida who was working inside the refinery during the fiery explosion, said he thought he was going to die. "We got blasted to the ground. Everything blew up and I didn't know what to do," he said. "You couldn't see nothing but flame." Wright knew he had to get out, but the heat from the fire kept him from the stairway down and he says there were no ladders. "Basically I was swinging through scaffold poles and walking across pipes and everything to get out of there, it was terrible. I didn't want to get burned." He hurt his hand, elbow and foot, but considers himself lucky. "I thought I was dead for sure, like guaranteed dead." 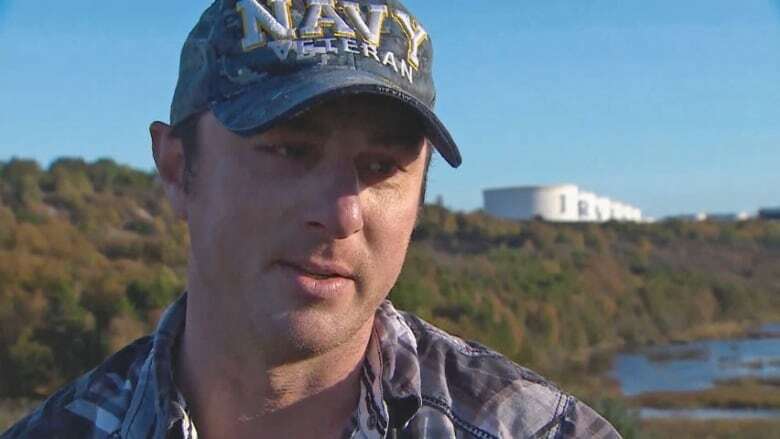 Saint John police responded to the refinery at 10:16 a.m., and were asking people to avoid the area as curious onlookers lined the streets, hoping to catch a glimpse of what was going on. Several streets were closed but no residential evacuations were ordered. Bob McVicar, who lives in the area of the explosion, posted on Facebook that it felt like a "bed-shaking explosion." Area resident Shaun Watson was in his home when he heard a boom. "The whole house shook," he said. Residents across the city reported feeling the effects of the explosion and many turned to social media, searching for information. At 10:58 a.m., Irving Oil confirmed on Twitter that there had been a "major incident" at the refinery, but did not provide any other details. At 12:40 p.m., Saint John EMO tweeted that fire and police remained at the scene of the "incident" and that streets in the immediate area were closed to through traffic. Sierra Sisk, 18, who was driving past the refinery with her dad when she captured the fire and explosion on video, felt it wasn't safe to stay in their Champlain Heights home, which overlooks the refinery. "I thought there was going to be a big explosion. I thought the whole Champlain Heights was going to blow up. I don't know, I was just scared." 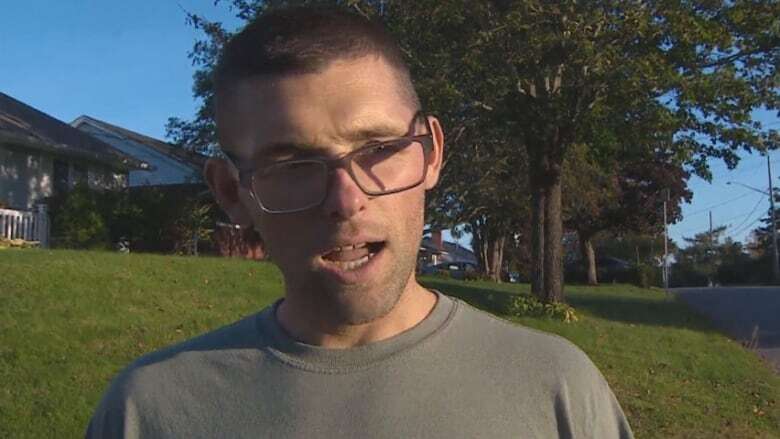 Sisk's family and another family drove about 20 minutes eastward, past the Saint John Airport, to wait the situation out. Kevin Vienneau, who lives less than a kilometre from the refinery, said he didn't wait for an evacuation order to leave his house either. He grabbed his two children, wife and dog, jumped in the truck and drove to the home of his in-laws. "Kind of thought you know, who knows living close to a refinery what can happen? So yeah, just get everything, get out, be safe. We were out of here pretty quick, we were probably two, three minutes after hearing the bang, we were out the door and in the truck." Carl Senna's family also opted to leave. "And I was fearful of a second one. So we decided to interrupt our Thanksgiving proceedings and evacuate over to a relative's house on the other side of town and wait out what was going on." The following streets are closed: Loch Lomond at Commerce, Grandview at Champlain, Grandview at Bayside, and Loch Lomond at Macdonald. Mark Melanson and Jocelyn Legassie were sitting at the Tim Hortons on Hickey Road, about three kilometres away from the refinery, when they heard a popping sound. They looked outside the window and saw black smoke and flames exceeding the height of the stacks at the refinery. 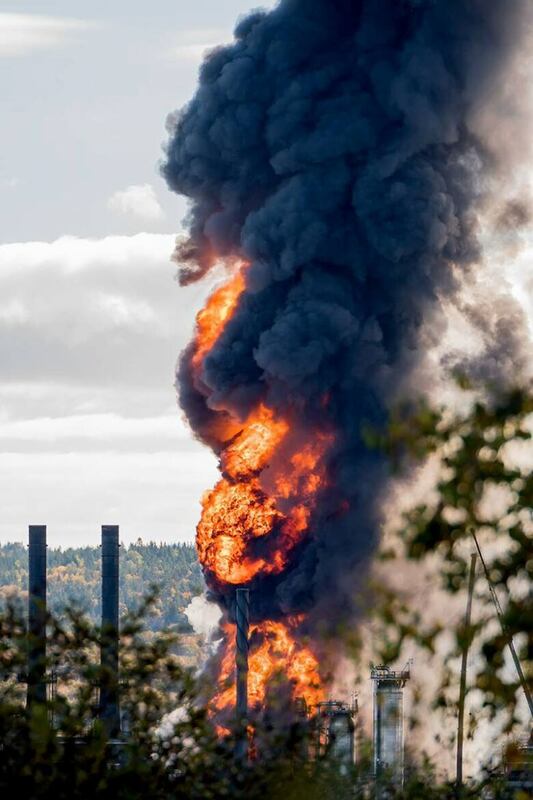 Melanson said he has seen explosions like this on YouTube at oil refineries around the world, but never seen anything like this in Saint John. Legassie agreed, saying: "I've lived in Saint John for 30 years and this is the first time I've seen something like this happen here." There was another explosion at the oil refinery in 1998, when flames and a huge cloud of black smoke hung over the facility. One person was killed and two people suffered minor injuries in that blast. Rob Beebe felt Monday's explosion from his apartment on Martha Avenue, a few streets over from the refinery. "We felt the entire building move as if it wobbled." When he walked outside, he noticed black smoke coming from the refinery, so he hopped into the car, drove down the corner and saw fire about 30 metres high. After the explosion was reported, the Saint John Regional Hospital went into "code orange," meaning it was prepared for a possible influx of patients. "We can confirm we have now treated five people with injuries from the refinery explosion at Horizon's Saint John Regional Hospital and all five have been discharged.," New Brunswick's Horizon Health Network said on Twitter shortly after 3 p.m.
Irving Oil posted on Twitter around 2 p.m. that several contractors were being treated for non-life threatening injuries. "We now understand that all employees and contractors working on site have been safely accounted for," the tweet said. "As this is an active situation, we will be sharing more information as it becomes available." No other updates have been posted. It's too soon to say how long the shutdown will continue, but Irving Oil hopes to avoid any interruptions to service, the company spokesperson told reporters during a 3:30 p.m. news conference. "We're working through all of our contingency plans in terms of supply. Of course we have finished product in tankage at the refinery and then further out in the system in marine terminals and you know relationships with other suppliers as well that we will draw on to minimize the impact on any of our customers — in Canada or the U.S.," said Scott.